We’re halfway through the year now so what better time than to give your website systems an audit? Think about it you take your car in every 3 months to 3,000 miles to get the oil changed and the recommendation for a tune up is every 25,000 miles or so (depending on your car’s age and manufacturer). I think it is important as well to check your website and automated systems to make sure everything is as smooth as a well oiled machine. First thing I recommend is visit your website. Opt-in to whatever lead generation form you have into place. (Hopefully you have one.) Where you taken to the correct thank you page? Check your inbox, did you receive email one in your series? If you did great, if not locate why not. Also, is your email message still relevant. Follow this procedure until you’ve received your full email sequence. If you don’t have an email sequence in place, this would be good to implement at least an 8 email follow up. Also, you will want to check out any links in your email messages. It is always a good idea to have a call to action in your follow up series so it is very important to make sure these links go to the location that you are expecting them to. When visiting these links are these pages still relevant? If these links are promoting a purchase of some sort it would be good to test the order process. Follow that process all the way through. Meaning, did you successfully complete an order? Did you receive a receipt? Was it formatted correctly? Were you taken to a thank you page or members area and if so could you login? 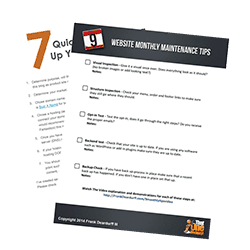 Once you have completed that phase of your audit I would suggest going back to the home page of your website. Look at any links you have on the site. For example is there a link to a contact page does it work as expected and so forth. Keeping with our vehicle analogy, It is recommended that you rotate the tires or check the tread and air pressure for obvious reasons. Similarly we should check that our website is rolling along as planned. 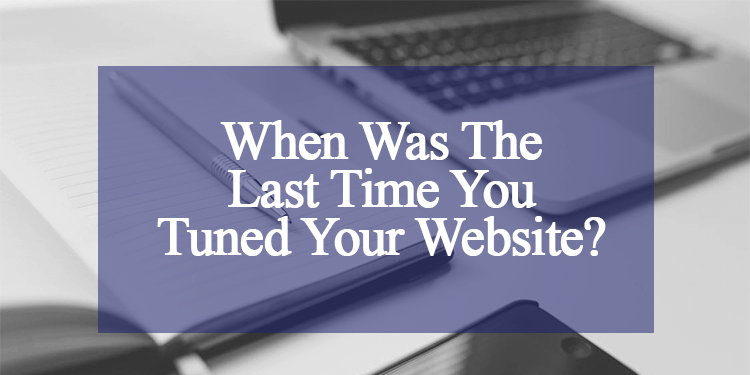 Over time you may have added things to your website. Items like images or plug-ins and or various scripts for different reasons that could potentially cause your website not to roll as smoothly. While there is no good way to “check the air pressure” we can check to see what is causing to slow down. To do this I use a free service called GTmetrix located at https://gtmetrix.com. This service will scan your website for page speed. It will show you a grade for each component of your website. 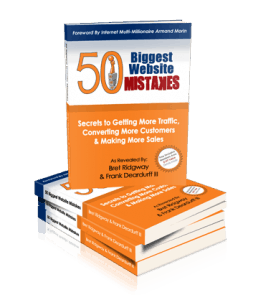 In many cases these are things you may not know are part of your website. Some of the items such as wrong image sizes you maybe able to correct yourself in other areas you may need the help of your webmaster. In my opinion if your overall grade is a C or better you should be good less than that I would suggest hiring a mechanic uh, er, webmaster. Why is the speed important? Well first off if it is taking to long for your page to load your visitor may not stick around. Secondly, it has been said that the search engines do give a higher rank to websites that are speed optimized. Hopefully, your systems checked out and your speeding right along. If you did run into some issue than at least you can get them corrected and pick up speed to reach the goals you had planned. Thank you for sharing the article with us, it was very insightful. I want to ask you a question if you don’t mind. According to you which one do you find worst in terms of slowing down the site speed, music that plays automatically or video that plays automatically? Hello Filip, – the size of the file would make a difference in loading times and generally videos files are larger. That being said, I generally host my media files such as audio and video externally from my website. These type of files I utilize services such as Amazon S3 or YouTube.